This week has been on the busy side for me. I had a few people here for the 4th of July holiday and didn't have enough time to get Wednesday Snap Shot out. It will be out next week. My grocery haul this week was a big one. 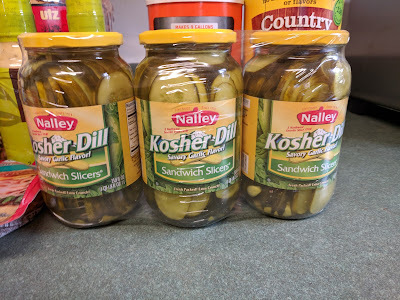 I have a family get-together coming up in a couple weeks and will have a lot of people here for several days. So I started this week to stock up on a few things in preparation for this. 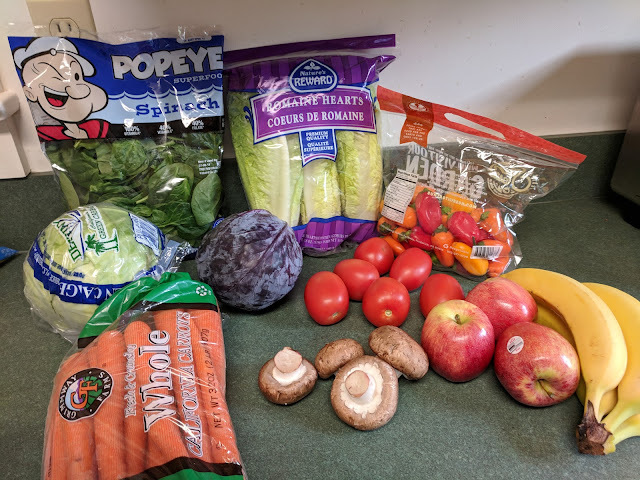 The fruits and veggies were the basics.. lettuce, spinach, cabbage; both red and green, carrots, tomatoes, mushrooms and peppers. I picked up some apples and bananas. We still have oranges from the big box I got last week at Costco. 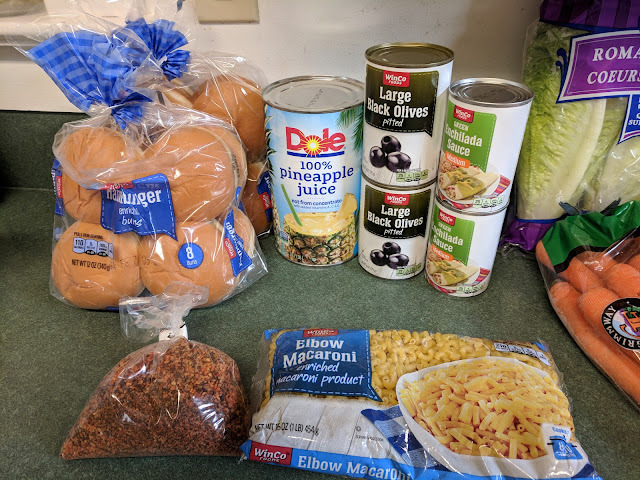 Hamburger buns (for the freezer), olives, green enchilada sauce, macaroni, and I picked up some steak seasonings in the bulk department. 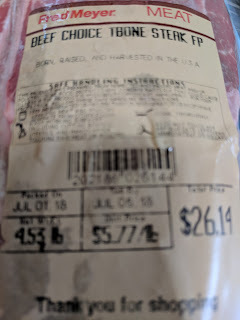 It was their version of Montreal Steak Seasonings. I also got a large can of pineapple juice and I'll tell you why in just a bit. Milk, half n half, yogurt, cheese slices (provolone and colby), some frozen brussel sprouts, broccoli and tater tots (the store brand). The last stop was Costco.. 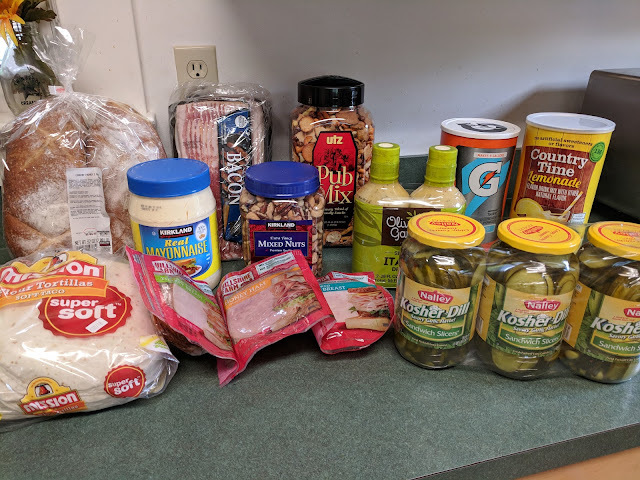 I picked up lunch meat, bacon, mayo, tortillas, a 2 pack of french bread, and my hubby's pub mix (a snack mix) and mixed nuts that he likes to take to work. I also had a few other items that will be set aside for out get-together. The Gatorade is an amazing deal. The can makes 9 gallons in total. The cost of the can was $8.99. 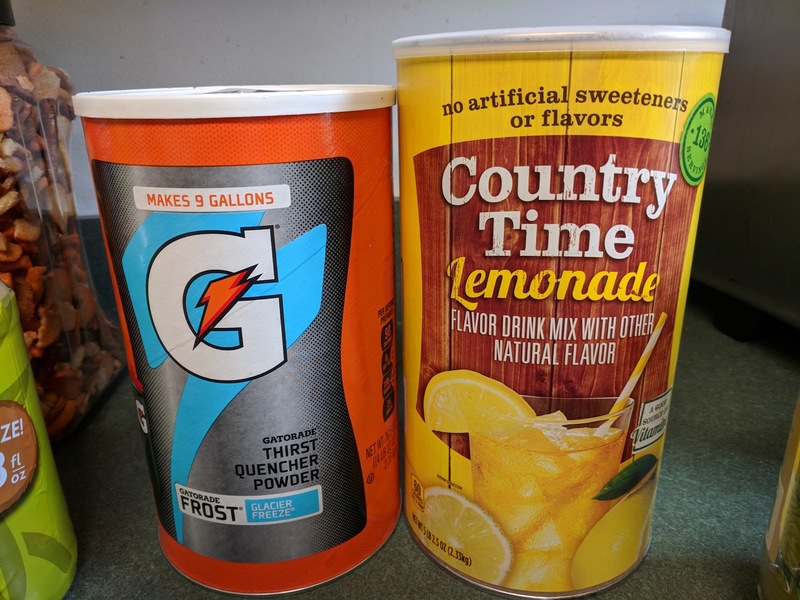 A 32oz bottle of Gatorade can run anywhere from .75 cents (when on sale) to over a $1 a bottle. 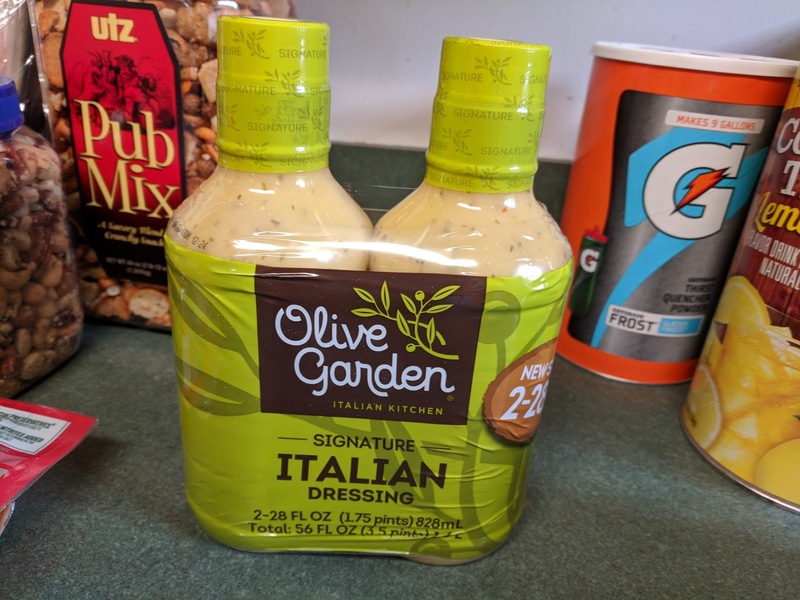 The can is the equivalent of 36 - 32oz bottles. A deal no matter how you look at it! 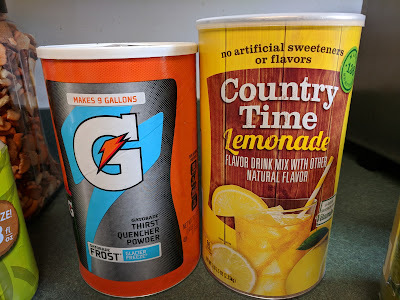 I have sons that drink Gatorade so figured this was the best way to have some around when they are here. 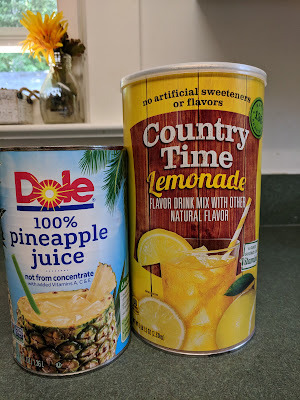 The other can is Country Time Lemonade powdered mix. 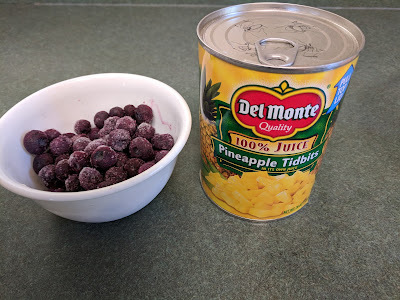 I have plans for this with the pineapple juice. I found a recipe online (HERE) for making pineapple lemonade. 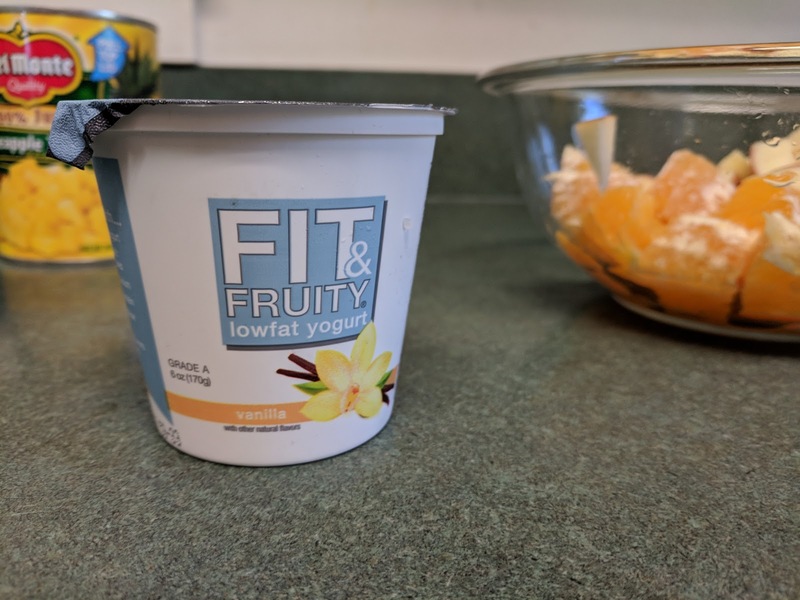 I thought it sounded refreshing and would be a hit with my grandchildren. I'll still need to pick up the Sprite that the recipe calls for on my next shopping trip. 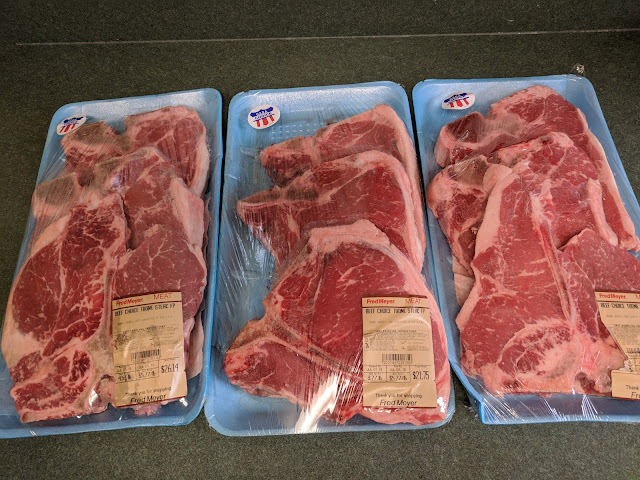 As I said this week was a big haul. I've spent most of the year under budget. Plus I'm planning on having around 25 people here for at least over the weekend and some will be staying longer then that. 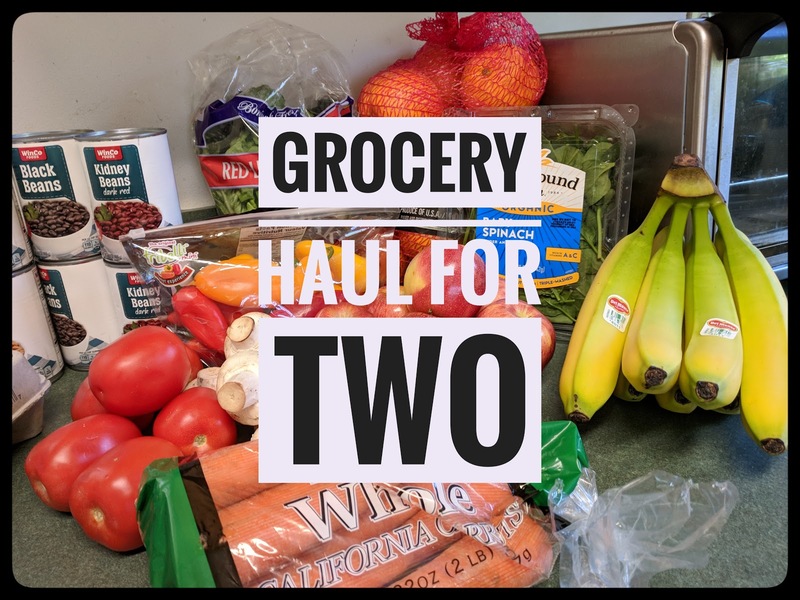 When all settles down, I'll be back to a more normal haul for just the 2 of us :). I love how simple this is and how flexible it is. 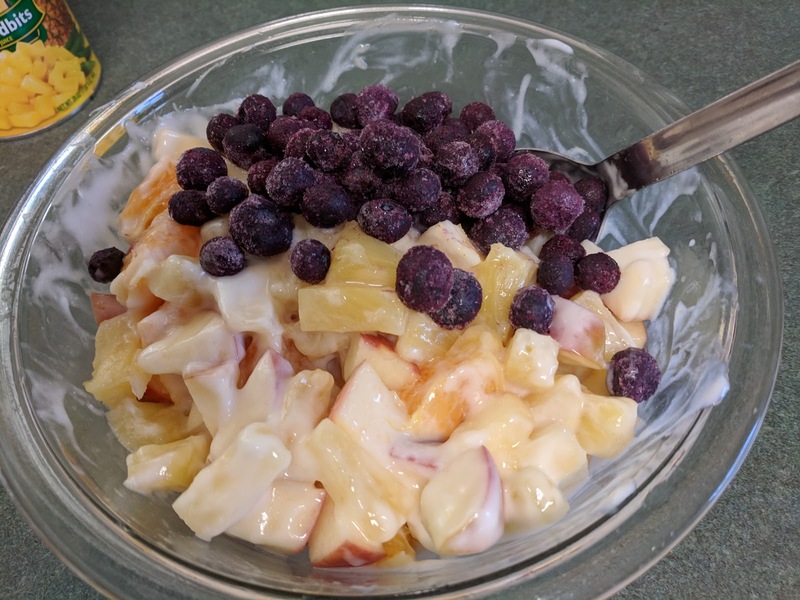 You can use whatever kind of fruit you want or what you have on hand. When I made this I used what I had, from fresh, frozen and canned. 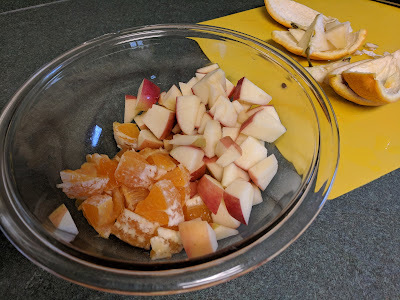 I chopped up 1 apple (I left the skin on) and 1 orange. I also used 1 cup of frozen blueberries and 1 can of pineapple tidbits. 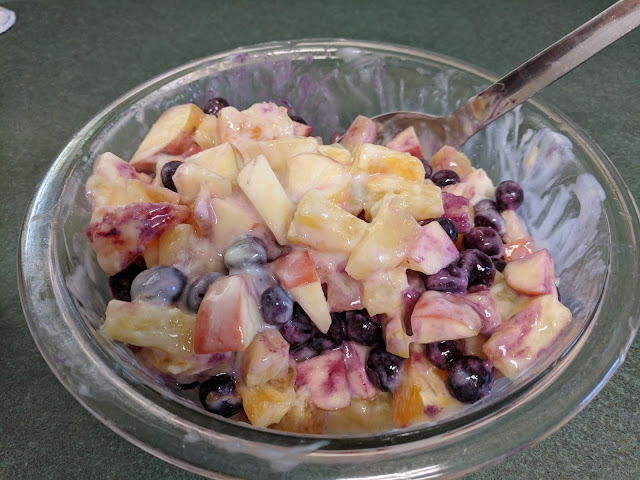 As I said, the recipe is flexible, use whatever fruits you like or have on hand. I never measure I just judge how much fruit salad I want as I'm making it. And it is ready to go... it's that simple. 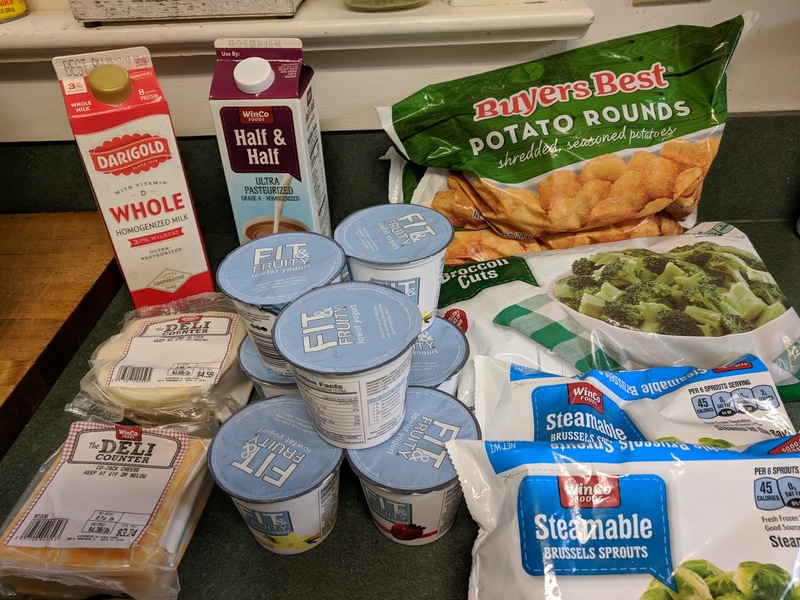 If you make a large salad you might need 2 containers of yogurt. And you can use whatever flavor of yogurt you would like. I like the mellow taste of vanilla best but any flavor works.